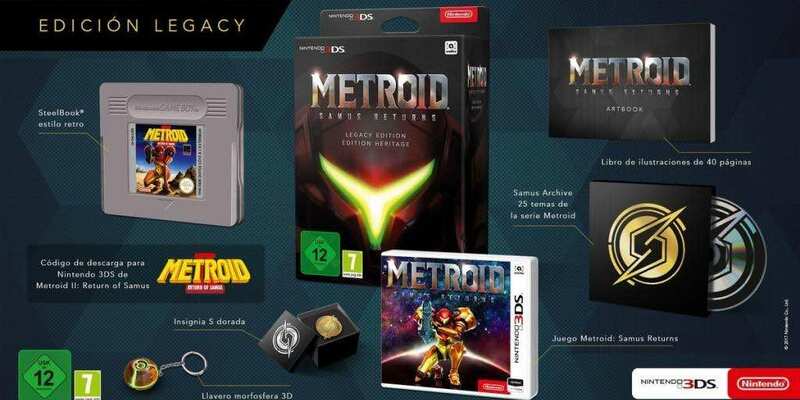 Metroid: Samus Returns Legacy Edition Leaked | Nerd Much? According to Kotaku, the Nintendo UK website has revealed that there will be a special Legacy Edition for Metroid: Samus Returns. The images from Kotaku reveal what the edition includes, most especially the steel book that is made to look like the Game Boy version of Metroid 2: Return of Samus. There is no better way to evoke nostalgia about the upcoming 3DS game that referring to the version Samus Returns is clearly a reboot of. An art book 40 pages thick. This edition is only available while supplies last and it has not yet been made clear if the edition is available outside of Europe. A price has not been revealed yet either, but with these posted on the Nintendo UK site, there is sure to be an announcement in more detail soon.